KUALA LUMPUR (Dec 8): The FBM KLCI gained on market close on Friday as stronger-than-expected China trade data helped boost regional and local market sentiment, pushing the benchmark index up week-on-week. At 5pm, KLCI was up 2.2 points or 0.13% from yesterday's close to end at 1,721.25 points, after ranging between 1,718.88 points and 1,724.59 points throughout the day. It was 3.39 points or 0.2% higher than the 1,717.86 points it settled at last Thursday (Nov 30). 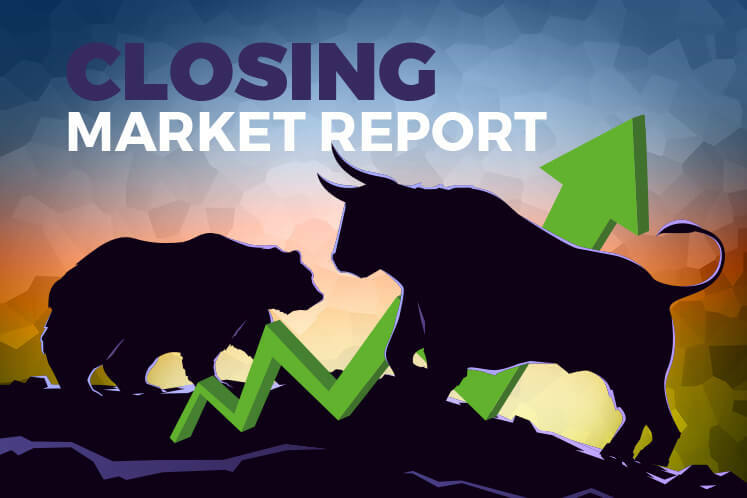 CIMB Research’s analyst Nick Foo Mun Pang, however, said the KLCI rebound is not strong as market breadth remains negative. “For the whole week, losers still outnumbered gainers, and this scenario may persist in the near term. Investors are cautious ahead of US Federal Reserve’s interest rate decision,” he told theedgemarkets.com over the phone. There were 490 losers versus 327 gainers on Bursa Malaysia today, while 401 counters remained unchanged. The local exchange saw a total trading volume of 1.84 billion shares, worth some RM2.48 billion. After reporting a quarterly loss yesterday, Sapura Energy Bhd continued to be one of the more notable losers today, falling another 13.5 sen or 14% to close at a fresh record low of 83 sen. It was the 10th biggest losers across all Bursa Securities, and the most actively traded counter, after 293.87 million shares traded. Top gainers, meanwhile, were led by large caps, with Ajinomoto (M) Bhd, British American Tobacco (M) Bhd, and Dutch Lady Milk Industries Bhd being the top three counters. Across the region, Japan’s Nikkei advanced 1.39% while Hong Kong's Hang Seng Index climbed 1.19% and South Korea's Kospi grew 0.08%. Reuters reported that Southeast Asian stock markets gained on Friday as stronger-than-expected China trade data and the US government avoiding a shutdown buoyed market sentiment, with Singapore rebounding sharply after this week's losing streak. It added that China's exports and imports unexpectedly accelerated last month after slowing in October, an encouraging sign for the world's second-biggest economy, which has started to slow in the face of a government crackdown on debt risks and factory pollution. Over at the currency market, ringgit strengthened against the US dollar to 4.0868, and against the Singapore dollar to 3.0190.